I am mentally trying to prepare myself to return to school in two weeks. We start so early it is still blazing hot summer. The summer break helps so much to prevent burnout, but now I will need to remind myself how to sit in classes all day and to not take breaks whenever I want. It will be like riding a bicycle, I hope. I heard a crazed man murdered people at a Batman screening. I want to express my sympathy to all the relatives and friends of the dead. I hope those injured heal quickly, body and soul. I wrote the essay below several years ago when I was fourteen. It is published here for the first time. I hope to engage you in a dialogue about what autism is and how it is seen by many people. It is my hope that we can change the way we understand autism. What is autism? It’s a long list of behaviors, or is it more? A diagnosis of autism is made only by looking at symptoms. Eye contact impairment, hand flapping or social delay only describe my outside actions, not what is wrong in my brain. Which part of my brain is the source of hand flapping? Why is my motor control erratic? Is my lack of speaking a sign of retardation or is it something else? (It’s something else I assure you). Is it a hint of what’s wrong that my hands aren’t coordinated or write legibly? How about my calm, flat face? Is it a sign of an empty shell or could it indicate a muscle/brain communication problem? In a condition that is diagnosed solely on behavior, it would be nice if experts asked these questions, but mine never did. They looked at my outside deficits and concluded that my inside was equally impaired. I was assumed to not understand language, to not recognize my parents from a stranger, to not have a thought more advanced than a toddler no matter my chronological age. 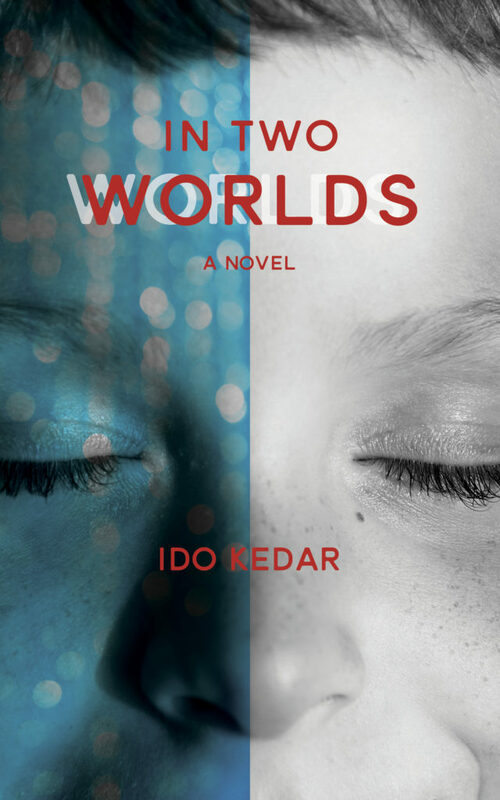 It was supposed that my brain could be molded in increments by drilling me in basic material like nouns or people in my family’s names or by telling me to jump or sit or touch my nose over and over. This was the educational model I grew up with. So, I am telling my experts what I couldn’t tell them when I was stuck in my silent prison for so many years; you were wrong. Worse, you were treating the wrong symptoms. I didn’t need to be taught to understand. I understood everything as well as any other kid so I didn’t need flashcard pictures of trees for my brain to understand a tree. What I had was a body that needed to learn how to listen to my brain’s commands. I got answers wrong, not because I didn’t understand concepts, or was too retarded and limited, but because my hand and my body didn’t obey my brain consistently. I challenge those who study autism, and those who dictate our lives in school and home programs and in speech therapy and in OT and on and on, to imagine that the non-verbal autistic kid you see is not a mentally challenged person, however retarded he may appear, but is a thinking, interesting, understanding person whose body is a source of imprisonment. It is a new way of looking at the illness, but I tell you, hard as it may be to see it this way, it is the true illness- not the observed symptoms. My body is a source of frustration. It doesn’t respond when it needs to. It does mindless stims instead of purposeful action. It traps me in silence. It is a true puzzle. But despite this, my thoughts are true and clear and I can think and think and think. I believe that now that more and more non-verbal autistic people are learning to communicate by pointing to letters and by typing that we need to determine our own educational needs. It is time to end educations determined by experts who see only our strange outsides and refuse to inquire about our normal insides. It is time to force experts to open their eyes to a thing called the truth. It’s time because the devastating illness called autism can’t be cured as long as experts don’t see it in the accurate way. I want a cure and I want communication now for all those still trapped in silence. This is why I wrote my book (to be published soon) and it is my dream that it may help my friends and so many other autistic people and their families to be liberated too. In my essays I explain autism from the inside out. I challenge widely accepted theories and beliefs about autistic people and I explain where they are incorrect. I describe my early education so people can learn how it felt to be on the receiving end of this kind of instruction, and I will share my emergence into communication and hope. This is my personal story, but I speak for many other autistic people too. Thank you for listening to a silent boy no more. I think it is easy to misinterpret the behavior of non-verbal autistic people who can’t communicate. It happened to me often in my youth when I had limited output. Lots of interpretations of my actions were pure guessing by professionals, but I could do nothing to challenge them or correct their ideas. Recently, I have been talking to some professionals in order to fix this. They describe the puzzling actions of a non-verbal autistic kid, tell me their interpretations, and I get to give my two cents. This is important because my two cents is really different from their interpretations. Being autistic myself, I see the behavior in a totally different way than they do based on observation and theories. 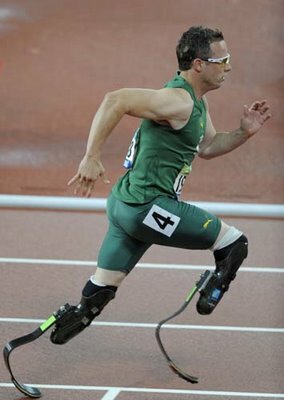 Oscar Pistorius is a South African runner who has been trying to make it to the Olympics for years. He has been in many races, winning by huge margins in the Paralympics, or in races that accepted him as a legless runner. To me, it is incredible that at last he made the regular Olympics. Hooray for him in his victory fighting the impediments that the disabled face in life. 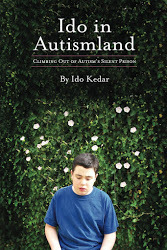 Here is a link to a site that tries to show how it is to have the heightened senses of autism in regular environments. I know if I don’t wear headphones in a restaurant, I go nuts internally from the noise. My old cat has vanished. He is 19 years old. Older than me by 3 years. He was respected by our much bigger dogs, the other cat, and by the humans too. He had some real leadership skills, that’s for sure, and he was calm, sweet, and easy-going. Recently he was getting confused and demanding. He meowed constantly for food but he stayed scrawny despite being well fed. He vanished a few days ago after sneaking outside. No one has seen him. We looked, and put up signs, but we think that he probably decided it was time to go. I hope he gets a big rat in cat heaven.